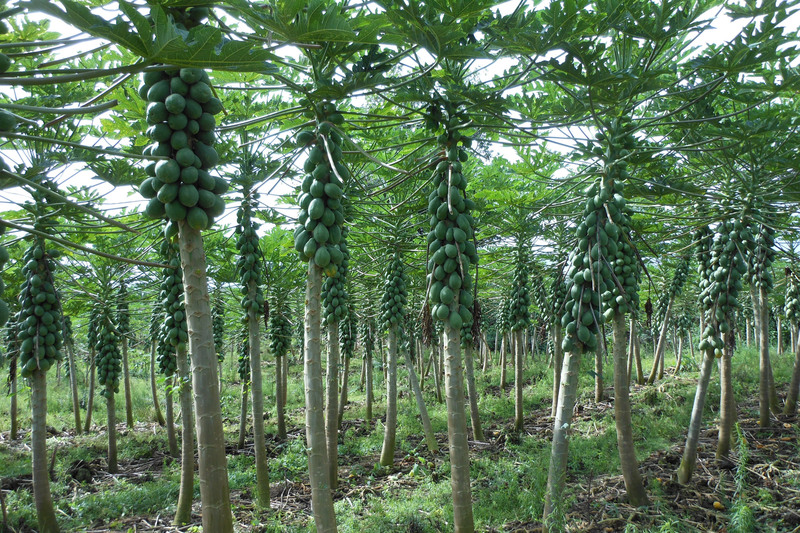 Hawaii’s Big Island has banned or severely limited the farming of genetically engineered (GE or GM) crops, including a papaya developed by a native Hawaiian to resist a devastating virus disease. The battle over GE crops and the law enacted in Hawaii is a microcosm of the global fight determining the future of GE crops. Dear Tony, this is a wonderful comprehensive story on a famous GM crop battle, congratulations. It is a classic example on the divide of human minds caused by lots of elements (moral self-licensing, tribal solidarity, human believe systems etc. etc. When I look at your portrait on the entry page I am convinced that the fundamentalists must get afraid of you…. I will cite your work in my extensive literature review on the Golden Rice and the Background of this silly GM debate going on and on and on. Keep up the good work, and – Joan Baez was right: “we shall overcome” – the moral frontiers have changed since the sixties! !